Shipped on gallery wrapped wood frame. Ready to hang ! 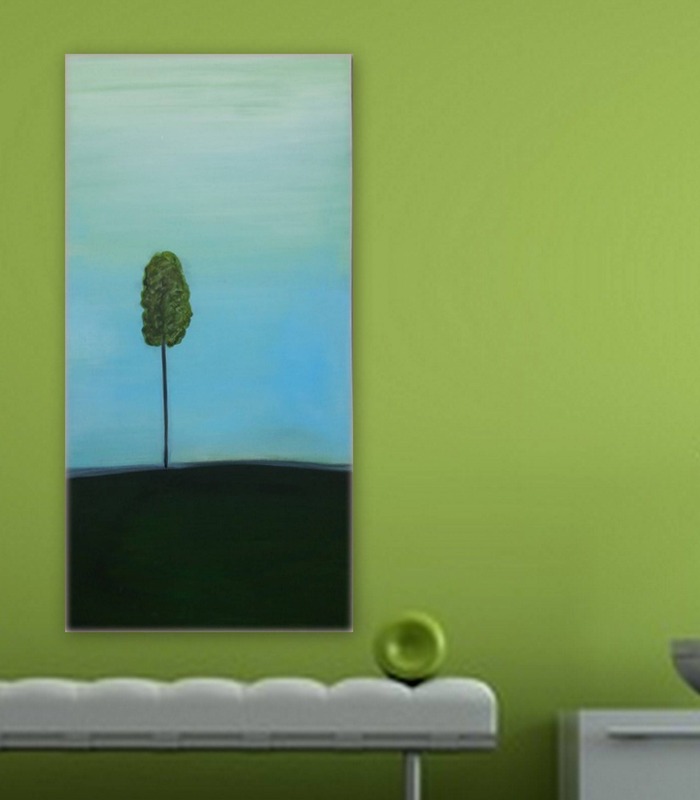 This painting is a very simple and vibrant accent that will fit great in a home office or hotel. 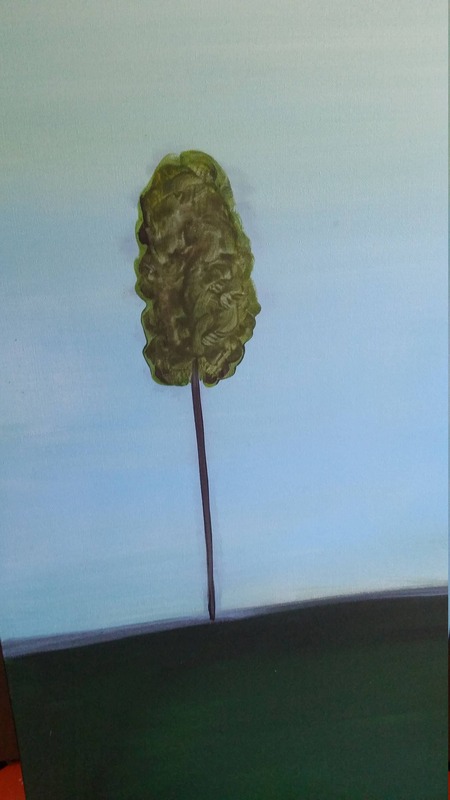 The light blue sky is soft in contrast to the beautiful dark green ground with a simple yet ellegant tree standing alone in an open feild. 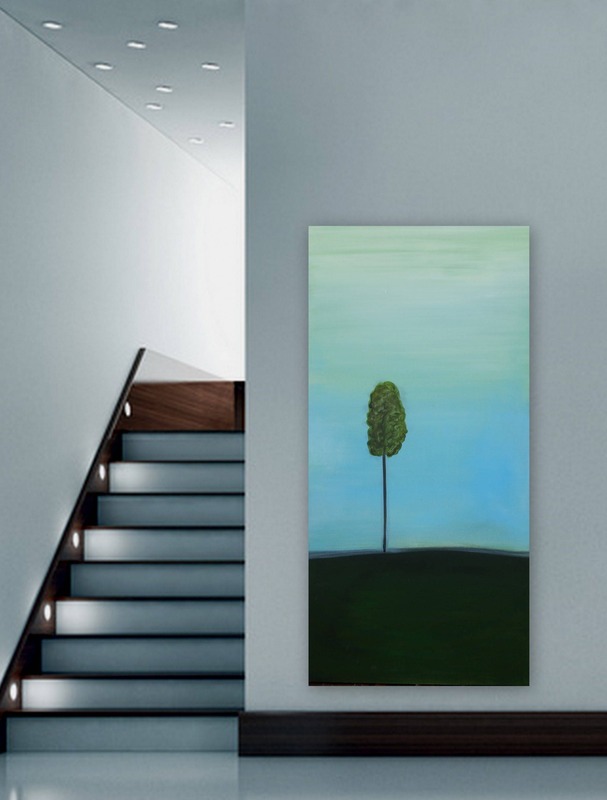 I really like the simplicity if these paintings, yet they can make a bold apearance on the wall. Thank you so much for your interest in my painting. Please check out more that I have in my shop. Also please contact me for a custom size or colors, I would love to work with you on something original and unique.